Tina Arena has been a household name in Australia for over forty years, ever since she stole the nation’s hearts as a child star on Young Talent Time. A singer-songwriter, musician, musical theatre actress, and record producer, Arena is one of the country’s highest selling female artists, with over 10 million records sold worldwide. Arena has earned several international and national awards, including seven ARIA Awards, and two World Music Awards for ‘Best-selling Australian Artist’, which she received in 1996 and in 2000. Arena is Italian-Australian and sings in English, Spanish, French and Italian. She was the first Australian to be awarded a Knighthood of the French National Order of National Merit, presented by the President of the French Republic, Nicolas Sarkozy, for her contributions to French culture. She is a member of the ARIA Hall of Fame and has said that “if it wasn’t for Australia, I would never have been able to have been catapulted internationally and to have done the things that I’ve been able to do. It was because of Australia that I’ve done that”. 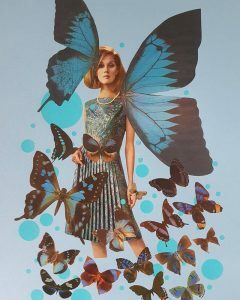 Karen’s trio of butterfly collage works compliment the Tina Arena room perfectly. You may also spot some more of Karen’s eye-catching and intricate artwork on level 4 and in our lobby. 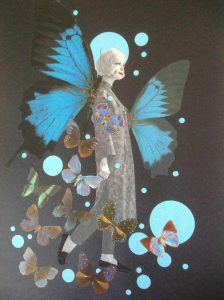 Karen loves using and recycling old vintage papers and vintage magazines primarily from the 1950s and 1960s and currently vintage French fashion magazines – the ephemeral and the discarded into her work. 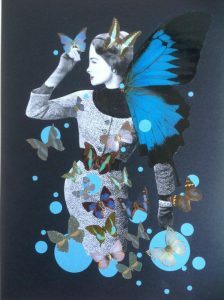 To browse more of Karen’s artwork and buy some you can take home check out more of her work here. Mud Australia porcelain is handmade in our Sydney-factory by our staff of professional and amateur ceramicists. Each piece is designed to last and manufactured using the best materials available. As a small business Mud Australia strongly believe in the global values of craft and community. 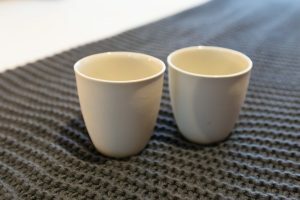 Mud Australia have kindly donated their unique mugs to our themed rooms, customise your colours and purchase your very own to take home here. if you take any snaps in the room! 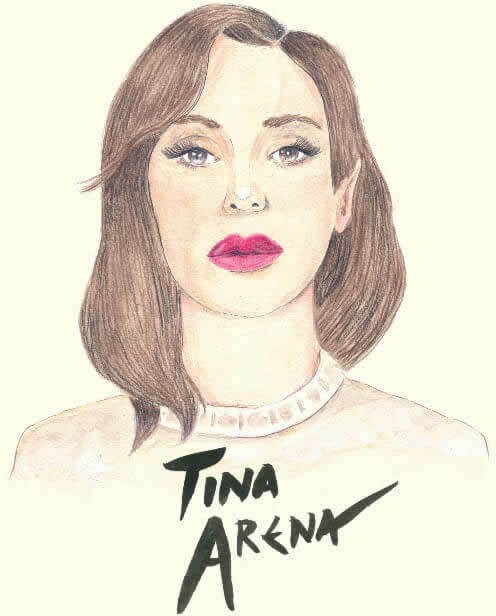 Love the Tina Arena room?